Since the new Patch 7.30 in Fortnite the Battle Royale Mode experienced Bottle Rockets as new weapon. With these Rockets and a simple shopping cart, you are able to build deadly rocket launchers! 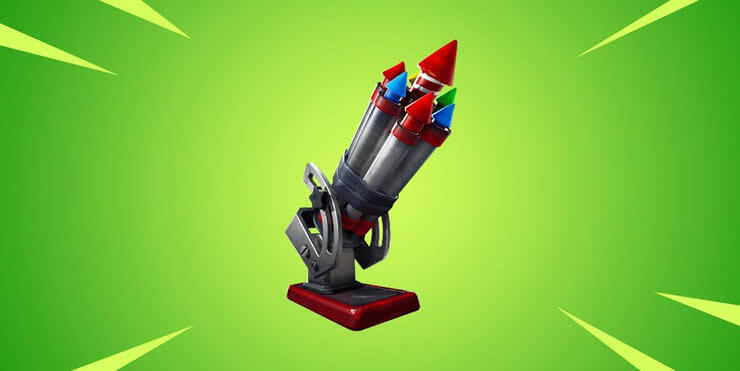 Bottle Rockets has been released as news weapons in the Fortnite Update 7.30 at the 5th of February. It seems to be a strange item. You have 6 pieces in stock and you can throw the rocket battery away from you. As soon as the battery stands, the targeted area will be harmed by little rockets for an amount of time. What’s the sence of these Rockets? Obviously the Rockets seem to be quite weak. They deal 10 damage points per hit on players and 40 per hit on buildings and objects. 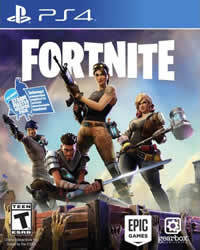 Therefore they are recommended for destroying buildings and not really to kill other players. We are sure, you realized that the Rockets are firmly mounted and can't be moved anymore. Correct?! Thats how you build a Bomber and a mobile Rocket Launcher: the main idea is that the Rockets stick on every material of you throw them at it. You can put the Rocket Batterys at the wings of an airplane. As you can imagine when you cross the map with this, there are rockets rainings down the others and bring death and horror! Players call it fearfully AC-130 in Fortnite. If you put the Rockets at the front of a shopping cart you can easily build a mobile rocket Launcher! Just push the cart in front of you and you receive a deadly weapon! A picture on Reddit showed a scenario where people put the Rockets at a gun turret. As a result you should be able to shoot with the MG and the Rockets at the same time. Most players say that they like the rockets. It brings some fun moments into Fortnite. We are waiting for the following comments and opinions about the armed vehivles! Use the comments to share your thoughts with us!